Arrow Love + a Giveaway! | Averie Lane: Arrow Love + a Giveaway! 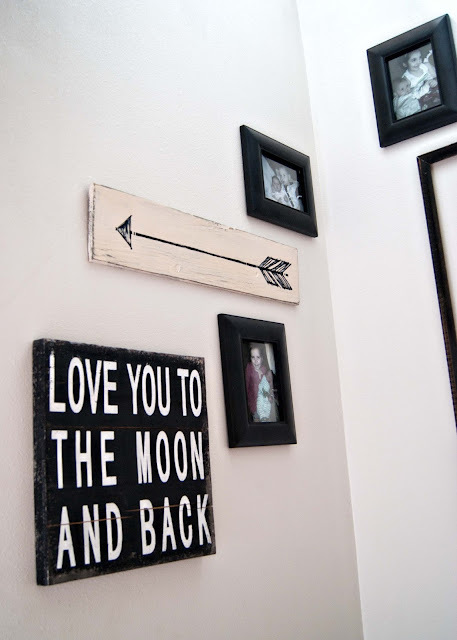 Arrow Love + a Giveaway! 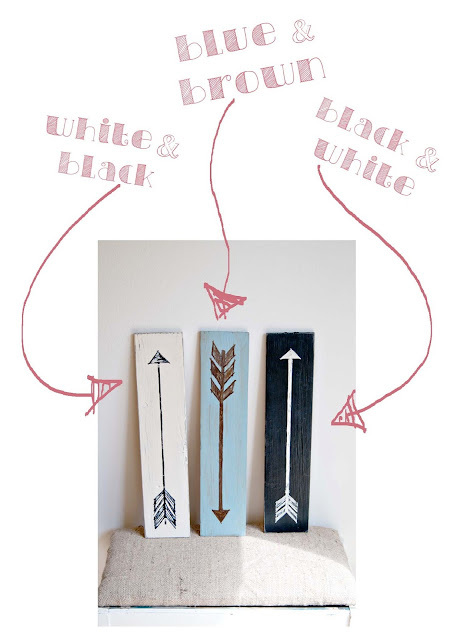 I am so in love with arrows right now...well, for that matter, I have been loving on them since the beginning of this blog(more than a year now!! )....see this post...or this one... or even this one...see I wasn't joking! Lots of use of these handy little things! 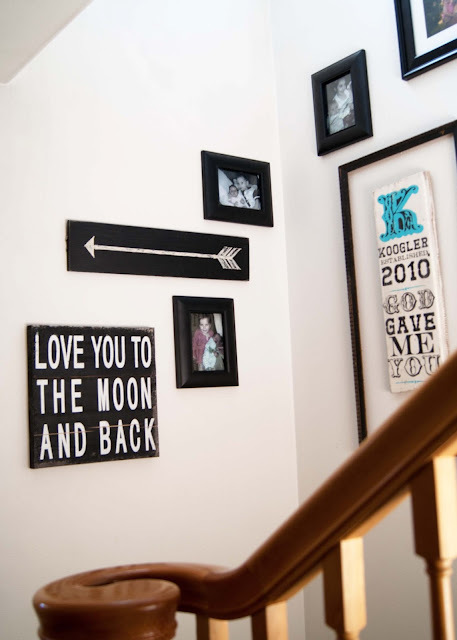 I wanted to a little somethin' to go with several new pictures I was adding to my stairway and went a kinda nuts-o painting arrow signs. In the meantime, how about we have a GIVEAWAY! That's right! You can enter to WIN one of these for yourself!! Don't like any of these color choices for your home, that's okay too! Just tell me what color you want in your comment and I will design you a new one! Gosh dang, I'm super excited about this! Just fill out the entry form below for your chance to win! Thanks Jenna! Would love if you spread the word! Super cute! I want the white one!! I love the black one!!! What a fun giveaway!! I love all of them! The black is probably my favorite, but it's a close race! I think the blue or black background arrows both look great on your wall! These are so fun. Can you do a tutorial after the giveaway is over perhaps? I like the white one the best. Thanks for the giveaway!! Love the arrows - I like them all but my favorite would be either combo of like a mossy green and white or brown and mossy green. My bathroom is decorated in out house style and I would love to hang it pointing to which door is the potty!!!! Fun Idea - thanks for the chance to win!!!! I love the black arrow! 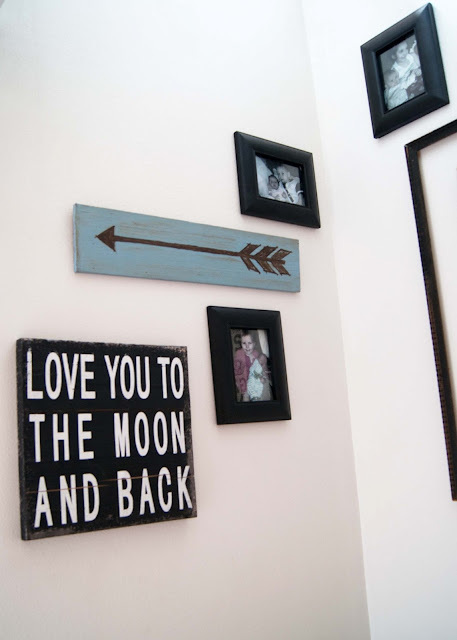 It is exactly what I need for the gallery I am working on in our entryway! I love all three of them! Maybe the white and black would be my favorite. I am so happy I found your post! 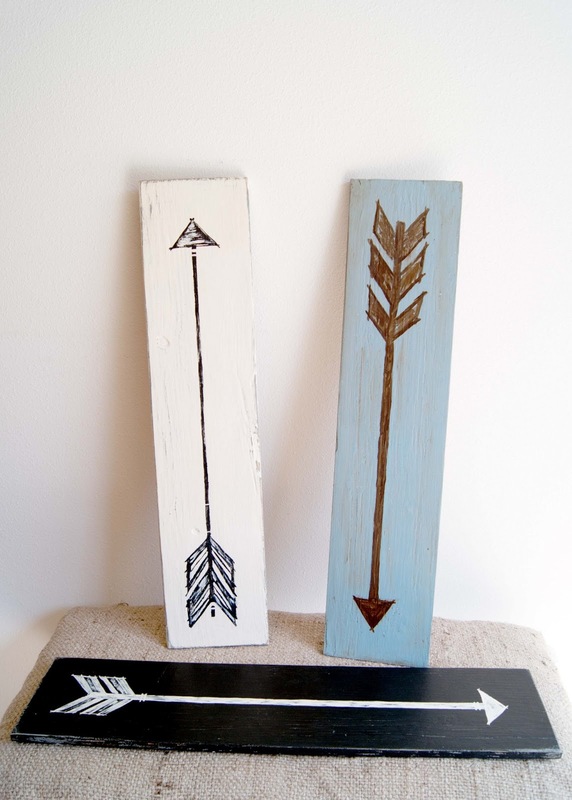 I'm a fellow painter, and had a scrap of wood of a small strange size, and an arrow would be perfect! Can't wait to check out your other arrow posts! Found you on Three Mango Seeds! They are all super cute! I think my fave is the blue & brown! White and black please! But they're all cute! Love these so much! I love them all, but I think I would pick the white arrow on the black background!